Sterling Publishing (NY), 9781454923251, 208pp. 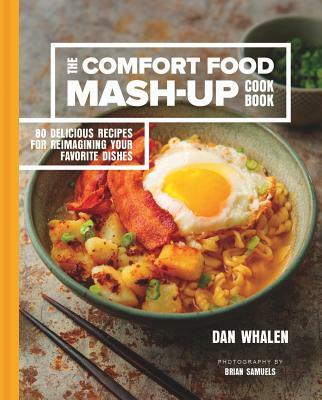 This exciting cookbook features 80 recipes that merge two classic recipes into a unique mouthwatering dish. Kick off your day with Breakfast Ramen or a Crispy Rice Sticky Bun. Snack on Breadstick Calzones, Corn Dog Jalape o Poppers, or Reuben Tots. Devour Buffalo Chicken Pad Thai or Chili Risotto. Then treat yourself to a Blueberry Pie Milkshake or White Russian Cheesecake. The intro reveals the surprising history of mash-ups and gives you the blueprint, which explains the deceptively simple philosophy behind the concept and provides everything you need to create your own amazing creations. Comfort food never tasted so good.